Brittany | Wide, fine sandy beaches, hidden bays, rugged rocky cliffs, idyllic little towns and a holiday home directly by the sea – that’s a holiday on the Breton coast. 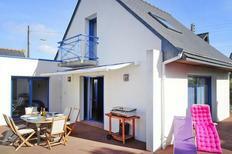 Holiday residence near Douarnenez, located directly by the sea. Brittany | Everyone can enjoy a holiday here to the fullest. Parents can relax while the little ones will find dozens of entertainment options. 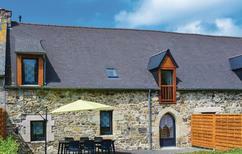 Holiday home for four people in a former mill in the heart of Brittany. 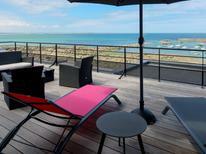 Brittany | Would you like to know which holiday home or apartment is particularly worth spending a holiday in? 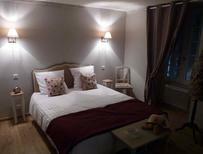 Here we'll show you the accommodation in Brittany, which has received the best reviews from our customers. 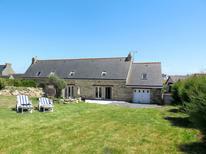 There is ample space for six holidaymakers on the country property near Quemper-Guezennec. A holiday house in Brittany costs on average GBP 634 in the cheap travel period and GBP 1,167 in the peak season per week. These details are of course in relation to the house and not per person as well as includes the obligatory additional charges. 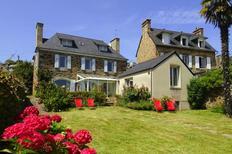 atraveo offers you in Brittany more than 600 holiday apartments and more than 2,400 holiday houses. 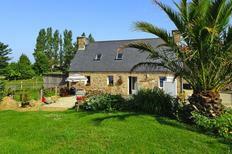 The holiday houses in Brittany usually offer a large garden premise with flowers and fruit trees. Here you can enjoy the open space and privacy. Many of the houses are situated close to the beach with the sea never far away. 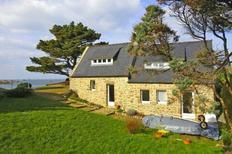 Special charm is offered by traditional Breton natural stone houses with a romantic fireplace. But also a stylish old fisherman’s house has its unique charm. 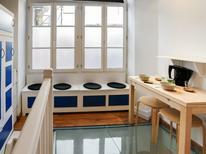 Maybe you want to spend your vacation in a holiday resort with all the comfort? Next to a range of leisure facilities you can get to know other holiday makers and if the weather is unsettled an indoor pool is available. Brittany offers all ingredients for a great holiday. Bathing fun and water sport activities at the long sandy beaches in the south and the west of the departments Morbihan and Finistere, in the small bays of the northern coast in the Departements Côtes-d’Armor and Ille-et-Vilaine or the turquoise blue water of the inland sea Gulf of Morbihan with its islands. Excursions to the lush green hinterland with its impressive nature, mysterious relics from the Stone Age and architecture of the Medieval cities and romantic palaces are just some of the many great leisure activities available in Brittany. Bathing holidays along Brittany’s beautiful beaches offer lots of fun for everyone. There are also many exciting activities to be enjoyed the sea during tide. The large areas of smooth sand are ideal for land sailing. Driving on a kind of tricycle with a sail over the sunny sand is lots of fun and you cannot capsize. It’s a great activity for the whole family which can be experienced at most of Brittany’s beaches after an introduction. Maybe you and your family fancy to try out the adventure of beach fishing. There are many mussels, small crabs and fish to discover – lots of fun especially for children. On the peninsula Crozon for example guided beach fishing is offered where you can in accordance with conservation regulation discover the riches of the sea and then take catch and prepare it afterwards into a delicious meal. Also worthwhile is a boat trip to the seven islands at Perros-Guirec. When visiting the bird reservoir you and your family can watch various species such as gannets and puffins. There is also the option of reaching the island with a traditional sailing boat where you can take control of the helm. In no case should you miss visiting the famous menhirs. These monoliths which exact purpose is still not known today were erected in the Neolithic Age by those living in Brittany. Fans of the adventures of Asterix and Obelix will surely discover the traces of the strong Obelix who made and collected menhirs. The largest menhir field within Brittany is located in Carnac where the largest single menhir with more than ten metres stands in the vicinity of Brest. In Britanny there is a variety of manors and chateaus with one surely close to your holiday domicile. The Château de Kerjean in the departement Finistère is a Renaissance building from the 15th century and its rooms which can be visited are especially well preserved. Fort-la-Latte, a castle within sight of the Cap Fréhel in the departement Côtes-d'Armor is one of Britanny’s most visited historic buildings. The fortress was built next to the sea on a rock. Its keep and round path are accessible and offer stunning views. The town Quimper in the department Morbihan is also worth a visit and impresses with its many half-timbered houses and its beautiful Gothic cathedral. You should also consider visiting the port city Saint-Malo with its impressive historic town centre whose curtain walls are always bathed by a spring tide with high waves after low tide. The famous monastery bedrock Mont-Saint-Michel is actually part of the Normandy. However it is situated right at the border to Brittany and if you have the opportunity you should pop by. Just standing in front of the 40 metre high rocky island with its small town and large monastery complex is stunning. You can also visit the monastery with its abbey as well as the Gothic cloister and buy numerous souvenirs on the Grand Rue. Typical Breton dishes comprise mainly of seafood. Prepared in the right way and then gratinated they become a true delicacy. An ultimate sensation of taste is the Breton lobster. You usually eat fresh oysters raw. It takes a bit of practice to open the shell and the right handling of the oyster knife. When you have got to grips with the tricky issues you can eat the mussel fom the shell – with a sprinkle of lemon or pure. In Brittany you are able to buy fresh mussels, fish and other shellfish everywhere at markets and prepare them in your holiday home. Breton cuisine though does not only offer seafood. Everywhere in the region you can get delicious crêpe which are thin wheat pancakes. Alternatively try the hearty buckwheat pancakes “galettes” filled with eggs, cheese and gammon. Those with a sweet tooth should try Kouign amann which is a caramelised multi-layered crêpe or a Far Breton that is a soft cake with prunes.